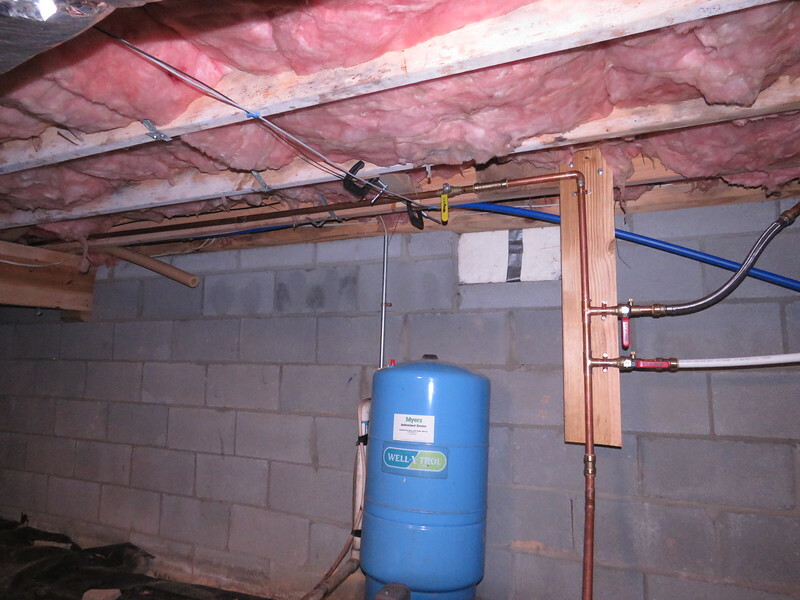 After - Unused filter and pipes under joists are gone. The clamps will be gone soon. Need to properly fasten the support for the pipe for the outside faucet.